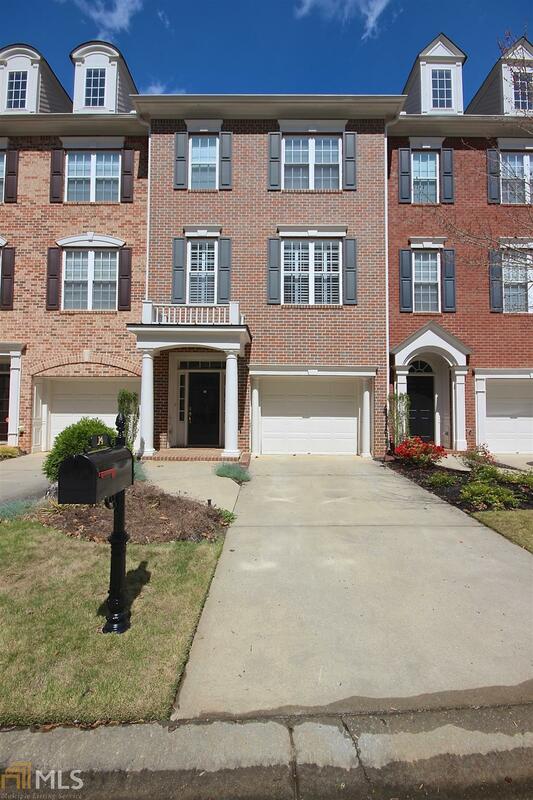 Updated Centennial Townhome in heart of Peachtree City. Enjoy the wide plank walnut hardwood floors in Family Room, Formal Dining, Master Bedroom, Secondary bedroom plus upstairs hallway. Gourmet Kitchen & Open floor plan for easy entertaining. Enjoy new granite counter tops, tile backsplash, ss appliances and large eat-in area. Step out to enclosed sunroom with tile flooring; retractable screens. Upper level features master retreat and luxury bath. Additional second bedroom and full bath plus Laundry room on 2nd floor. Home also features surround sound & recessed lighting throughout. Extended garage holds 2 vehicles; golf cart pad in rear plus finished room in Garage perfect for gym or office. Perfect location and Centennial amenities included. Directions: Peachtree City South On Hwy 74; Take 54 Toward Newnan; Right On Macduff Parkway To Left On American Walk To #14.